For me, one of the toughest things to do is go to yearly appointments without Arthur. Seems silly I’m sure, but it is just as tough now as a year ago. Today it was the dentist. I always took such pride in the boys whenever we went anywhere together and even the dentist was a family affair. Today, Wolfie and I went, without Artie. As I sat in the chair fighting tears I spoke to him . Told him how much I missed him, even at the dentist.. 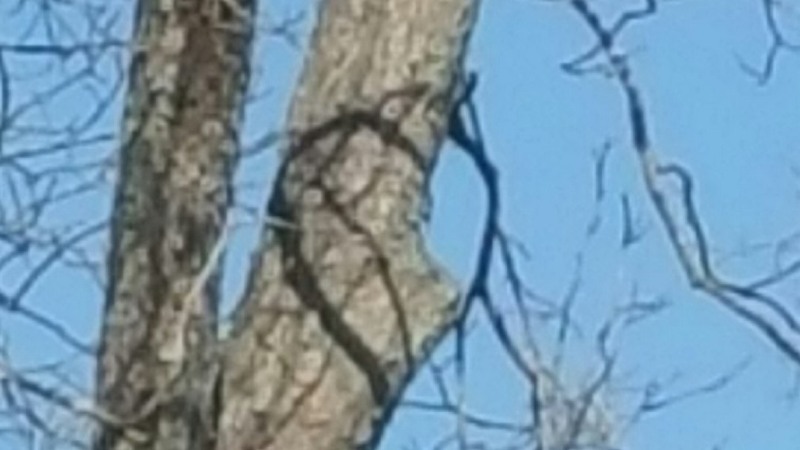 I just happened to look out the window and saw this heart in the trees. It made me smile and I knew he was with us. As simple as a song. Late night blah, blah, blahs..